Re-colonised or neo-colonised again, we must not be. Unity in diversity. Disunity only invite enemy. The Tan Sri picture put up with a question mark in yesterday's posting was published in the top frontpage of NST today. That takes the heat of this blog from any possible lawsuit. For a former General to be remanded for 7-days, it must be serious. They say, and off course the identity of they have to be withheld, MACC will not remand someone of that standing unless there is a case. To recall back, Lim Guan Eng was not remanded but only interviewed in his office and visited at his home. 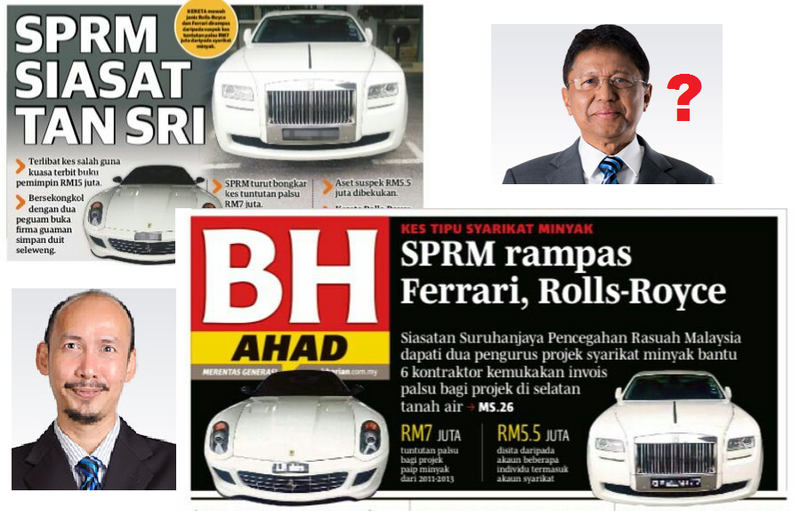 The Tan Sri and Dato of the GLC Bank could be remanded for investigation for more than RM15 million book publishing on "paper project". We await for further development. In the meanwhile, we like to share few corruption incidents that will make conscience person's blood boil, heartbeat increase, and burst into anger . Why no statement from Bank Negara on Bank Rakyat investigation? When the news first broke, it was difficult to gain access to DBKL's website. Now that it is accessible, no point trying to beat about the bush. 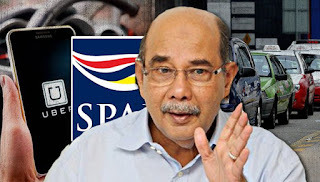 The only Dato Seri at the top management of DBKL, other than the Datok Bandar himself, is Executive Director (Project Management), Dato Seri Syed Afendy Ali bin Syed Abid Ali. In that position, he has access to developers and is in the position to make life difficult for them. The allegation he owned 31 condos is rather far fetched. 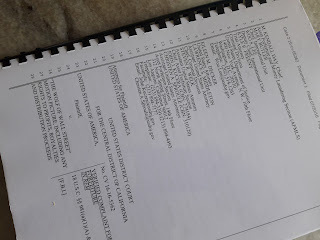 It needs proof and the allegation has to undergo due process in court. Should it be true, it is indication of how greedy and blatant the corrupts are these days. So FT Minister Dato Seri Tengku Adnan Tengku Mansor was right to acted fast and suspend him. Syed Afendy was released from remand last Friday. Otherwise, he could come to work this morning and to put it in a cryptic way, "do the necessary". The corrupts are willing to do anything. 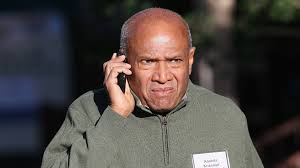 Today, the Managing Director of a GLC Bank is due to be released. 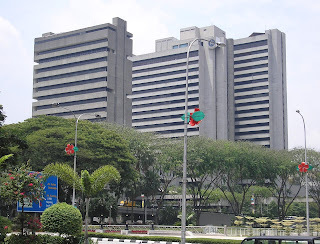 Did we hear of Bank Negara Malaysia (BNM) or in the case of non-commercial Banks, any relevant Ministries with duplicating authorities made the same announcement as Ku Nan? Just came across news report on the death of Toots Thielemans at MMO here. Glad that we had the opportunity to watch this jazz harmonica great when working abroad many years ago. First heard of Toots in the theme song of the American classic movie, Midnight Cowboys back in school. At the time we were exploring the music of Jaco Pastorius in the album, Word of Mouth, the collaboration of Jaco and Toots in Three Views of a Secret and Sophisticated Lady led us further to the jazz side of Toots' work. We learned of Toots when we then subscribed to the Jazz musicians' magazine, Downbeat. Hear Toot playing John Coltrane's Giant Steps and Charlie Parker's Ornithology. More in his Trilogy collection. In these postings, the often used methodology in the alleged corrupt practices allowed to happen in the Rural Ministry (or today, Ministry of Rural and Regional Development or in short KKLW) could be described as "paper project". The projects only exists on paper with documentations to show delivery made and work done but was not completely implemented or in certain instances, nothing was actually done at all. 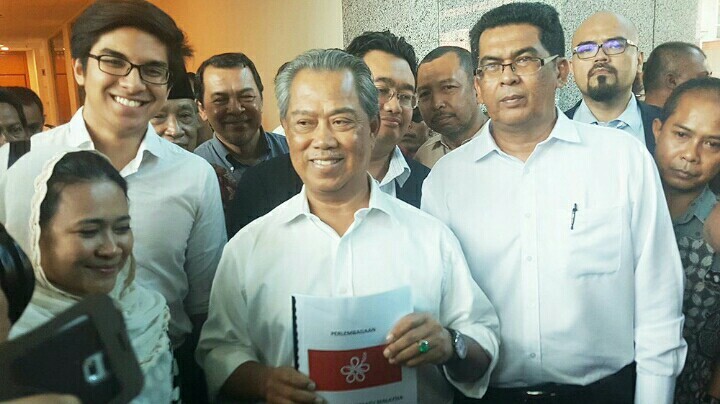 Documents could be created by simply bribing a local bloke a couple of hundred ringgit to sign. Since it involves the rural areas or the interiors, there is no government officers to regularly check at the site. If officers were sent, the officers themselves could be the one pocketing the payment without delivering or installing anything. By the look of it, Dato Zainur Zakaria is wrong. There was no Jho Loh or Riza Aziz appearing at a US court to submit their defense on Monday. Give them both a little more time. Dato Najib did say they are responsible to defend themselves. And, it is a wee bit early to accuse the lawyer to Matthias Chang and Dato Husam Musa of duplicating his clients' habit of doing a wayang or political psywar. Nevertheless, the Monday posting here could be expanded further. Apart from repeating the same cautionary message, a theory on how Najib got interested with Jho Loh's financial "scheming' was discussed. However, after almost more than one year, the question as to why Tun Dr Mahathir attacked Najib has yet to be answered. The pakatoon cybertrooper would like the public to believe that Mahathir is concerned for the country and the people. Try tell that to the people of Sabah and Sarawak who after more than 50 years in Malaysia, are still without proper roads, utilities and basic public amenities. How will public react if Siti Nurhaliza's husband is held by MACC? 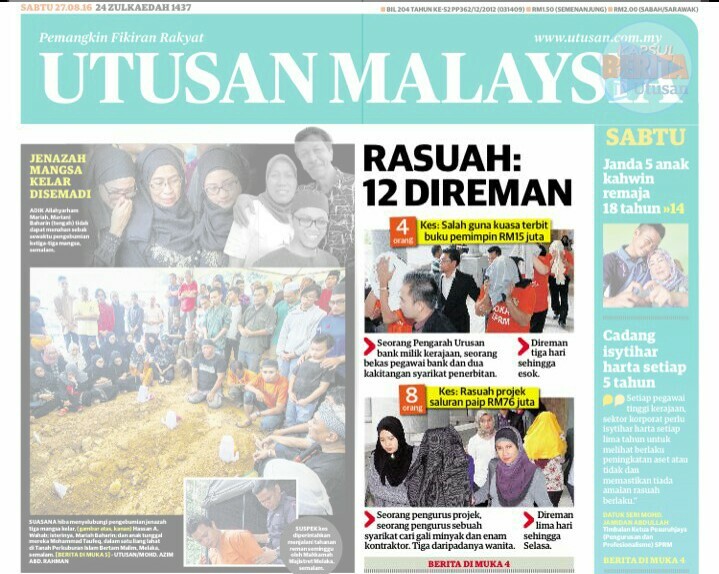 The new MACC Chief Commissioner, Datuk Dzulkifli Ahmad was sworn in yesterday but he could be remembered by this iconic image on the frontpage of Utusan Malaysia on August 14, 2016. 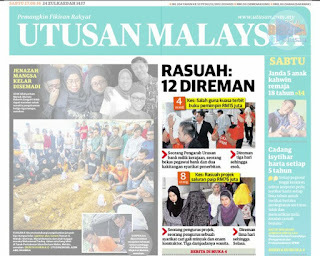 With the stern look and deep eyes, Dzulkifli offer the corrupt through the Utusan reporter [read here] to surrender or MACC is coming after them with MACC Act and AMLA for money laundering to freeze, and seize properties obtained through corruption. By now, the DOJ filing must have given the public some familiarity with money laundering and freeze and seize of assets. Within days, Dzulkifli did not give his critics long enough time to ramble. He started raiding and gave a signal that he mean business. It is supposed to be a good thing but how will the public react? Will MACC be allowed to do their work without public pressure applied by vested interest or public sentiment? It's almost a month since we wrote anything on 1MDB. The last being about SC's incompetence on July 27th here in which an "expert" claimed there is no need for SC supervision since it was issued abroad. Earlier, there were three postings directly related to the DOJ filing here, here, and here. Much have been covered, pro or con-sides of whether to judge Dato Najib as guilty for being the MO1 or allow the due process. 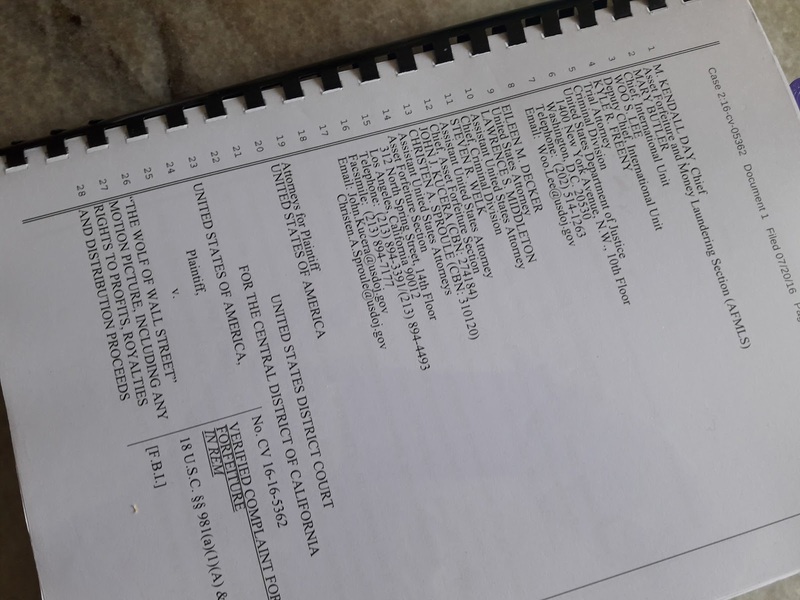 According to FMT report here, lawyer to Matthias Chang and Dato Husam Musa, Dato Zainur Zakaria claimed Riza and Jho Loh will appear in the US court today with regard to the DOJ filing. A couple of weeks ago, we had tea with a distant cousin. His employment contract had expired. In slightly more than 10.years, he quadrupled the company's asset. 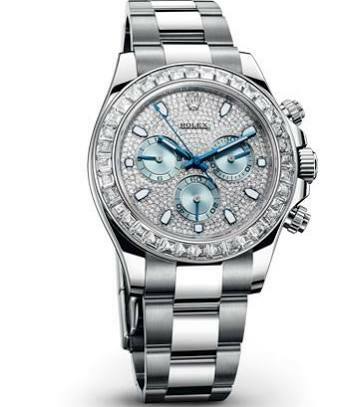 He is taking his time to consider options and catching up to socialise with friends. The conversation of Tan Sri Wahid Omar, 52 replacing Tun Ahmad Sarji, 78 came up and cousin said something worthy to be shared. If Tun Abdul Razak, Tun Daim and later, Tan Sri Mohamed Nor Yakcop could take young people under their wings to give them the opportunity to excel, then he suggested Dato Najib should do the same. In other words, the "old" have to make way and be their own. Too many in the 60s to 80s still at the helm of government, politics and corporation at a time the 40 and below constitute more than 65% of the country. It is time the young, more energetic, with fresh ideas, and willing to learn, adapt and be tactful to takeover. By the way, many young proven former CEOs are currently out of job. Seeing how SPAD handled the taxi versus Uber issue, could it be because the SPAD Chairman is 72 or it is Syed Hamid? 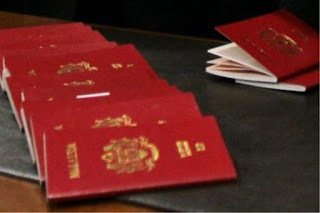 The Mole's recent posting [read here] of Deputy Home Minister Dato Nurjazlan Mohamed commenting that government will not allow Malaysian passport be made in China made us re-look our posting on the same issue [read here]. 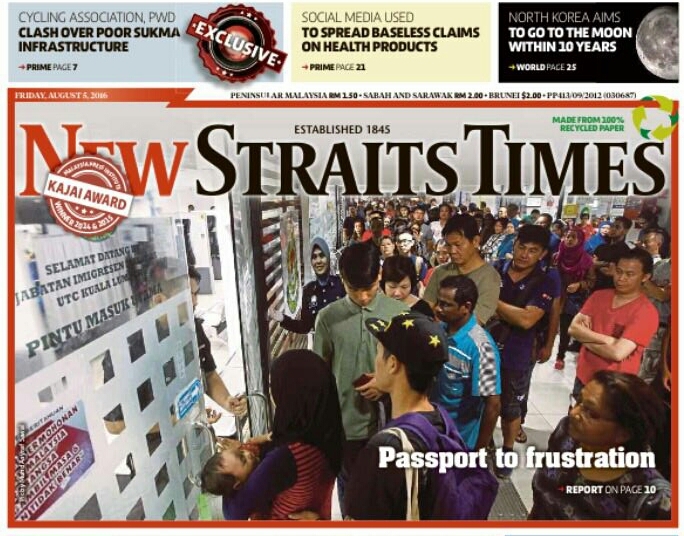 To partly answer the question as to who is to blame, MMO dated August 8th reported Jazlan slamming "the company responsible for supplying passports to the Immigration Department — Datasonic ..."
Their contract was to begin December 1st and Iris contract expired in June. How could Home Ministry allow the period between the end of a contract and the beginning of a new contract a gap of almost 6 months? It's the UMNO Division meetings season and same as last time, the speeches at the official opening gets the media attention. What was discussed at the meeting will not get covered. The theme this years seemed to be about unity. The subject is unity against foreign intervention and against a new political party to mean unity but in Malay as in Bersatu. If the unity against foreign intervention relates with DOJ filing to "freeze" stolen asset of Arabs from money remitted by 1MDB, then it is politicising a legal issue which we had long argued as improper on the anti-Najib Campaign to politicise. If it is intended to mean threat from ISIS, China and US on the 9-dash line dispute, foreign funded smugglers, gangsters and political operators guise as human rights activist, etc, then it is fine. 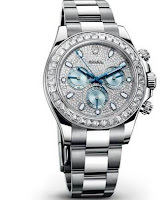 Our June 29th posting [read here] refers. It was the posting about Banker I that used to head Bank H and then moved up into the shareholder S organisation. Banker I was supposed to represent S on the Board of Director of Bank H. There was no plan to make him Bank H Chairman, just a member of the Board of Director. 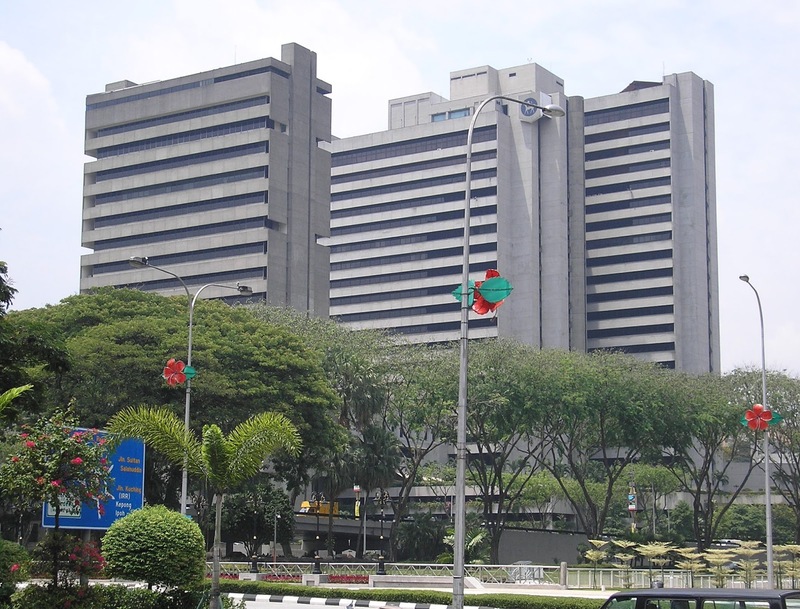 Bank Negara Malaysia (BNM) rejected that arrangement. Last week, there was a report related to this issue. This Government Official is not a politician. Neither is he a political appointee nor a retired politician given position for retirement. Without giving away his identity, except that it is a he, the Government Official should only be described as professional. He could be a professional civil serviceman or professional assuming top position in government linked company. It is important to emphasise that characteristic because the public seldom say (yours truly included) to do away with politicians and put professionals at important positions in government or government linked company. Supposedly they would do their job effectively, with integrity and conform to best practises. Hopefully they do their job with the social conscience and consideration for the rakyat at large, especially the lesser endowed among them. It came to this blog attention that one government official and a top one had his home burglarised. It happened recently, but lets not give away clues, cause it could be as recent as yesterday or just few months ago. Or maybe another hint can be given. 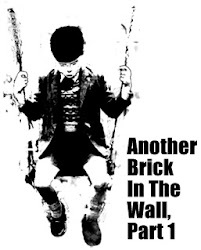 He was burglarised the second time within a short time frame. Hillary Brexit-ing: Will it be the end of TPPA? Hillary Clinton unleashed her economic plan in a speech in Warren, Michigan. In the speech, she yet again exhibit her inherent ability to rip apart any claims that Donald Trump's business acumen could translate into economic policies management. What is interesting about the speech is the readjustment in her position on TPPA. Obama administration championed TPPA as to open the door for American multinationals entry into foreign market and level the playing field in a most comprehensive manner. It is in line with her change in attitude towards big business to tune in with Bernie Sander's agenda. She advocate for higher taxes for the higher income bracket of "billionaires and Wall Street" as representative of the top 1% owning 90% of wealth in the country. Passport fiasco: Who to blame? 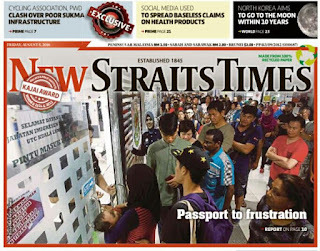 It is not true that NST, Berita Harian and Utusan Malaysia blacked out news on the passport issuance fiasco at Immigration. So for the moment, it rules out any blame on anyone linked to these few mainstream media. In the meantime, the public are already laying blame to the current and previous Home Minister. 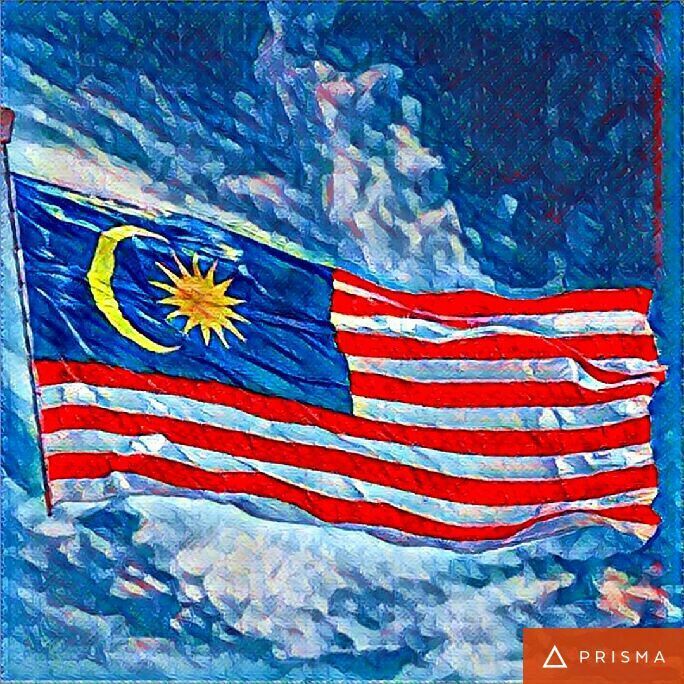 However, before pursuing a favourite Malaysian pastime to assume and presume blame or "gullible" behaviour to ignore facts and pass judgement, read an account of this fiasco at Rocky Bru here. So let's start by seeking information on the Malaysian passport. One can read in Wikipedia here so only relevant information is highlighted. Donald Trump was neck to neck on the polls into the Republican National Convention. After RNC repeatedly raised issue on Hillary's email scandal and labeling her as "Crooked Hillary", there was sufficient damage to Hillary's trust deficit. Even our apolitical younger brother predicted Trump could pull it off to win. We only cautioned that November is still far away. It may come down to the last two weeks. Unfortunately, after the DNC, he is now trailing Hillary in the polls by double digit margin. Among women voters, Hillary widen her lead from 7, 8 points to 23 points. One political analyst see the election is already over. Trump's thin-skinned and bad replies on Twitter or in person worsen his situation. His polls sink every time he speaks. In his latest "short-circuit" ad against Hillary, Trump looks desperate to regain ground. At one stage, instead of talking about Hillary's problem, he foolishly relitigated every controversies from the primaries. It is ungentlemanly to continue knocking on someone already dying. Why not a balancing view to lend a hand to The Donald? 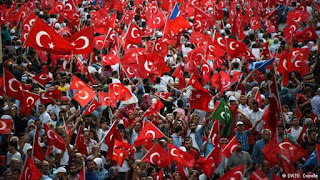 The two parts posting on the Turkish military coup and whether is will happen in Malaysia here and here came to the conclusion that it will not happen. However, the discussion on preserving the institution of people self-rule and an apolitical military led to the subject of leadership and character of personalities holding the mantle of leadership. It eventually led to an analysis of Erdogan's leadership. 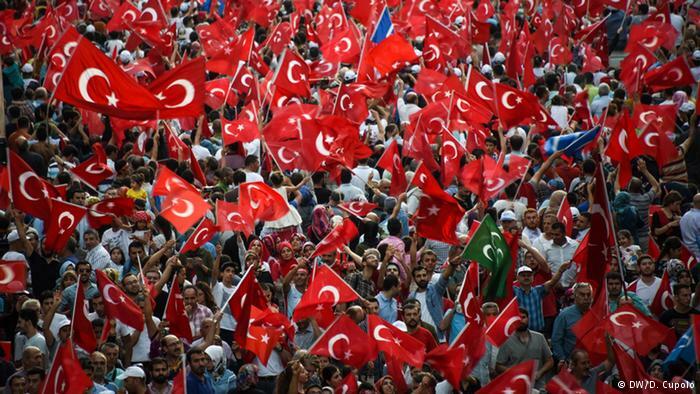 Since there are those that fanatically believed in the rise of a new caliphate from the ruins of the Ottoman empire will come in the form of Erdogan, it would be interesting to explore the subject of leadership and loyalty in Islam. Sura An-Nisa (59) in the holy Quran calls upon believers to be loyal to Allah and loyal to Prophet and leaders selected from among you. Loyalty and disavowal in Islam (al-wala wal bara) forms essential concepts of the Islamic aqeedah which every Muslim must understand and hold close to their hearts. Public perception: Gullible or "cognitive miser"? The street meaning to "cognitive miser" is lazy to think. However, to say so directly would only anger people. When public perception of certain issues is wrong, it is not because they are not intelligent. According to an article on BBC Future, "Why are people so incredibly gullible? ", even Nobel Prize winners have fallen for some bizarre and baseless theories. A researcher on misinformation at the University of Southern California, Eryn Newman said, “Even when we ‘know’ we should be drawing on facts and evidence, we just draw on feelings.” To save time and energy, our brains tend use intuition rather than analysis. People can be misled by the source of information, evidence, thinking of others, compatibility with their own belief, and want for a good story. 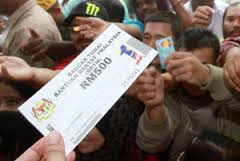 When Prime Minister Dato Najib introduced BR1M in 2012, prior to the 2013 general election, it was criticised as buying votes. The lower income earners and retirees appreciated the cash handout to lighten their burden. The impact on votes for BN is still up for debate till today. Partly because giving away money freely was principally wrong to the eyes of Dr Mahathir. When he turned political against Najib, he associated BR1M with dedak to gain political support. It was turned around against him as demeaning the common folks. BR1M was one of the four excuses he put together to justify overthrowing Najib. The others being Sirul, GST and 1MDB. There is no intention for reform as claimed in his failed Citizens' Declaration. 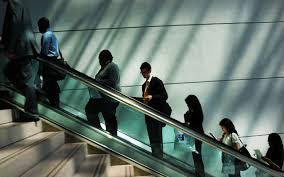 However, his thinking is in line with the Republican economic thoughts that abhors subsidy, social assistance and anything interrupting the free market mechanism. Mahathir attitude is more synonymous with the frugality of his generation. Do not give fish but give fishing rod to enable them to fish. The theoretical justification behind BR1M was not clear thus it was presumed as an election tool. If that is the case, are 35 British economists out to assist Tory win the next general election? 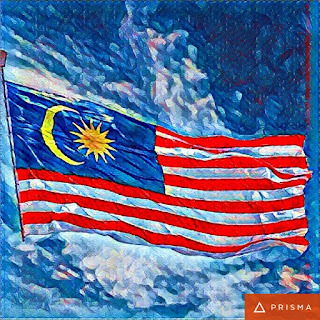 Monday was Hari Pahlawan or Warrior's Day to commemmurate the sacrifice of our servicemen and women in defending the nation. We text our colonel friend a greeting with the link to the Sunday posting. Colonel was caught in a mine and lost a leg in a jungle operations near the border around 30 years ago. Every Hari Pahlawan our gang will be reminded of a friend who died in one of the many Nuri heli crashes. He came from a poor family and was the hope of his single parent mother. It had always been a puzzle as to why he made the sacrifice for the nation when he does not have much to give? The armed forces will not overstep it's constitutional boundary in such lunacy and grandiose undertaking. With certainty, the armed forces pride itself in its professionalism and value the tenets of democratic country form of civil-military relationship. In layman term, that means a firm but respecting civilian control over an apolitical military.